If someone wants to know more about bushings, the easiest way to help them understand what bushings are is to use the analogy of the joints in our bodies. In order for our joints to function properly, they need to provide enough cushioning between our bones. In the case of our joints, the thing that provides the cushioning is cartilage. Because they have enough cartilage, most people don't have any problems with their joints when they are younger. However, as they get older and the cartilage in their joints starts to wear down, many people start to experience problems like arthritis. In the same way that cartilage provides cushioning in our bodies, bushings provide this cushioning in vehicles. The bushings found on the control arms, leaf springs and various mounts are like the cartilage between the joints in our bodies. And like cartilage, if the bushings start to wear down, the suspension components start to bind and vehicle's performance suffers (just like arthritis takes a toll on the bodies that it effects). If your vehicle has worn down bushings, you will most likely experience road wander as you are driving. Now, it's important to understand that unlike the cartilage in our bodies, you have a lot more control over the bushings in your car. When a vehicle is manufactured, most companies choose to use rubber bushings. Although rubber bushings will function fine at first, over time they will almost always wear down and cause vehicle performance issues. However, you don't have to settle for rubber bushings. Instead, you can choose to install polyurethane bushings in your vehicle. So, why would you want to choose polyurethane bushings over rubber bushings? To begin with, choosing polyurethane bushings will provide you with precise handling and firmer control. The reason for this is because this type of bushing helps to maintain the right alignment of caster, camber and toe, even on rough or uneven pavement. One nice feature of polyurethane bushings is that they can be used in a wide variety of suspension components and also in mounts for the body, engine and transmission. 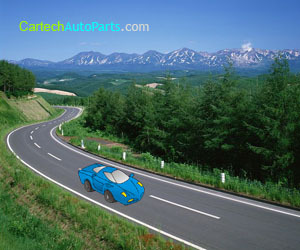 Additionally, they can be used on virtually any type of vehicle, regardless of whether it is a domestic or import. Another benefit of polyurethane bushings is that that they are extremely resistant to oil and other road contaminants. In contrast to rubber bushings, they will not crush down or wear out. And while rubber bushings are often bonded to a metal shell and sleeve, are designed to be free-floating and rotate a full 360 degrees, which allows prevents the suspension from binding and allows it to function properly. Has you been experiencing problems with your vehicle squeaking? If so, this could be another issue that is being caused by your rubber bushings. Because polyurethane bushings are self-lubricating, you never have to worry about them squeaking. When it comes to making specific decisions about purchasing polyurethane bushings, you will find that there are several different options available. The most common colors for these bushings are black and red. Additionally, depending on your specific needs, you may find that your vehicle needs body mounts, control arm bushings, leaf spring bushings, sway bar bushings or strut & track arm bushings. If you really want to get the best performance out of your vehicle, you can also choose to purchase a total polyurethane bushing kit, which will allow you to upgrade all of these areas. Although many people are skeptical about the true impact of polyurethane bushings due to their small size, once you have them installed into your vehicle, you will be able to see firsthand exactly how significant of an impact such a small piece can have on your overall driving experience. I like American cars but I am frustrated by the slop in the front ends of all the American cars I've had. I want polyurethane bushings but I can never find ones for my cars. I'm currently driving a 2011 Chevy HHR. Where can I find the bushings? Does anybody custom make them? Ever since I had the Energy Suspension polyurethane bushings in stalled in my 1984 suburban,all I've had is problems. I agree that the handling performance is good when I whip around the corner really fast. But when it comes to driving over bumps and potholes, My Truck handles really bad. It hits hard and it feels like there is no cushion in the front end. I've had the the upper and lower control arms, sway bar and rear leaf springs replaced with polyurethane bushings.Since then, I have went through 2 pitman arms,3 idler arms and 3 upper control arm bolts on the passenger side.If you ask me, I would not put polyurethane bushings on my car or truck for that you will be paying more money for other parts on your front end.I hope this will help someone else in making the right decision.